Clth, 11.5 x 9 in. / 70 pgs / 21 color / 12 bw. 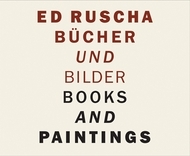 The combination of pictorial motifs and words or sentences has long been a special feature of Ed Ruscha’s (born 1937) paintings. 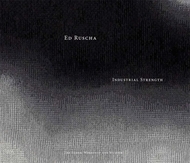 As he himself commented in an interview in 1989: "Words are pattern-like, and in their horizontality they answer my investigation into landscape ... they are almost not words--they are objects that become words." 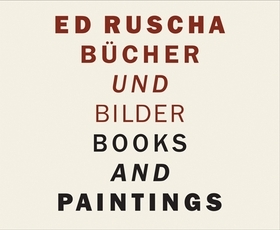 This attraction to combinations of word and image has naturally disposed Ruscha toward the book as an art form, and as both an object and subject in his paintings. 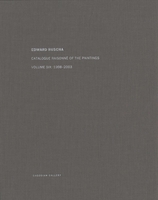 This volume commemorates a bequest of paintings, photographs and books by Ruscha to the Museum Brandhorst in Munich, complementing their existing works. 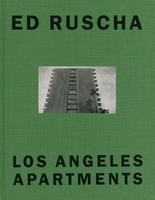 It offers a representative selection of books published by Ruscha, ranging from the legendary Twentysix Gasoline Stations (1962) to On the Road (2009)--a new edition, designed and illustrated by Ruscha, of Jack Kerouac’s 1957 novel. 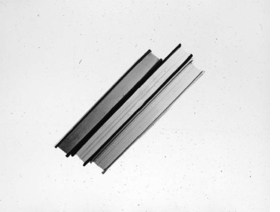 "Three Books On Slant" (2001) is reproduced from Ed Ruscha: Books and Paintings. Edited by Robert Dean, Lisa Turvey. 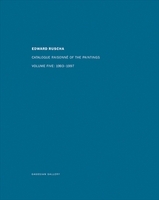 Text by Thierry de Duve, Linda Norden. Text by Dieter Buchhart, Alexandra Schwartz, Glenn O'Brien. 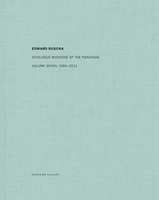 Contributions by Robert Dean, Lisa Turvey. Edited by Robert Dean, Lisa Turvey. Text by Briony Fer, Mel Bochner. 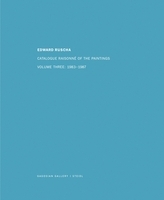 Preface by Paul Schimmel. Text by Thomas E. Crow. Edited by Robert Dean, Erin Wright. Text by Lawrence Weiner, Dave Hickey, Robert Dean. 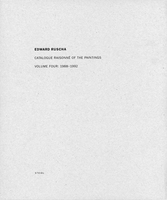 Edited by Robert Dean. Essays by Peter Wollen and Reyner Banham. Artwork by Ed Ruscha. Photographs by Sam Taylor-Wood. 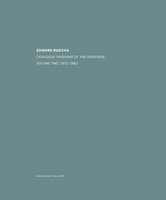 Contributions by Andreas Slominski. FORMAT: Clth, 11.5 x 9 in. / 70 pgs / 21 color / 12 b&w.